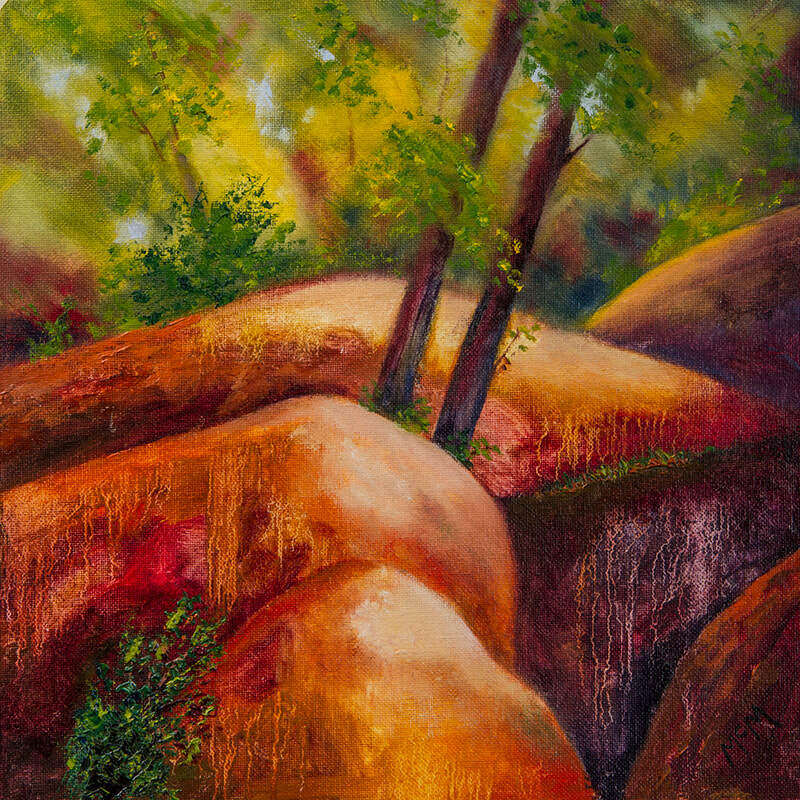 The red granite rocks of Elephant Rocks State Park alway stir my imagination, their beautiful colors, their weathered smooth texture and feel and the way the sunlight flickers through the trees casting shadows across their surface. Playing with the oil paint and plenty of thinner I created this painting. ​12X12 Oil on Canvas board. Sold framed or unframed. 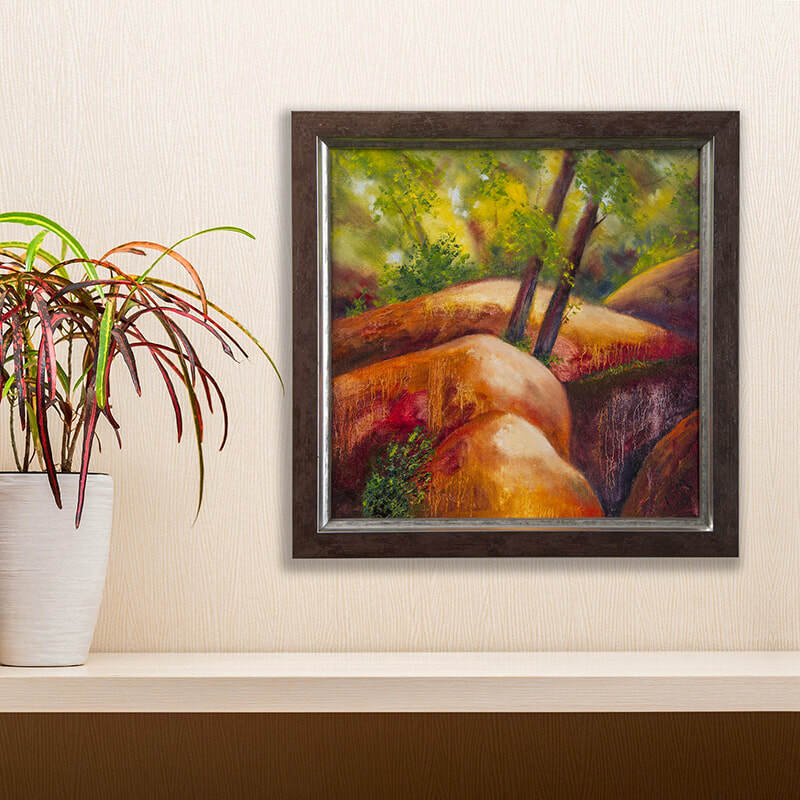 The wood brown and silver frame shown is available at an additional cost.